Have Brexit and the US presidential election made you more radical? Dr Eric R Igou, left, and Paul J Maher (right), pictured at University of Limerick. Credit: Diarmuid Greene / True Media. Political disillusionment leads to more extreme political views, according to studies carried out by researchers at University of Limerick (UL), Ireland. The new research, published this week in scientific journal Social Psychological and Personality Science, found that the experience of disillusionment is likely to occur when people's political goals are not realised or their strong convictions are proved inaccurate or false. 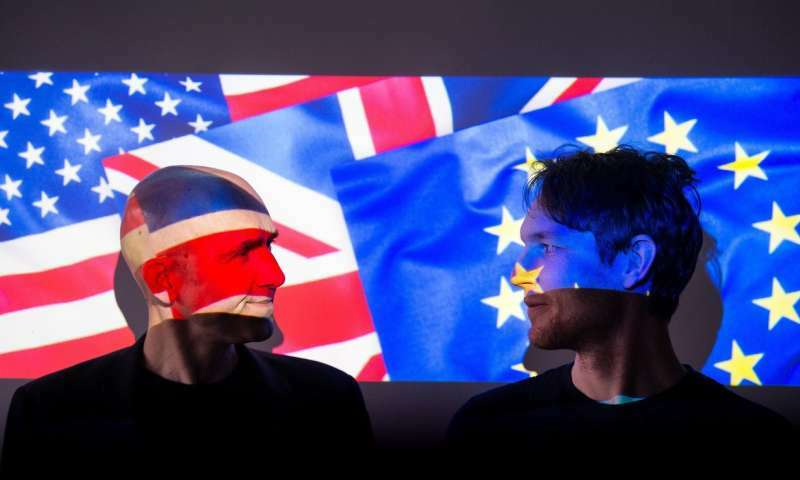 UL's Paul J Maher and Eric R Igou, along with Wijnand A P van Tilburg, formerly of UL and now of King's College London, found that people who became disillusioned in the aftermath of the Brexit vote endorsed more extreme political views. A second study found that, after Donald Trump's victory in the US presidential election, disillusioned Hillary Clinton voters shifted their political views towards the more left-wing/liberal end of the political spectrum. A follow-up experiment showed that reminding liberals and conservatives of global issues that disillusioned them - such as climate change among liberals and decline in religious values among conservatives - caused greater endorsement of diverging forms of political activism. This research has found that disillusionment has a key role to play in the increasing popularity of extreme political views. These new findings advance insights into the effects of disillusionment and the implications of this experience. Lead author, Irish Research Council funded PhD candidate Paul Maher explained, "We have found that disillusionment may, for example, inspire cumulative political polarisation, in which different forms of polarisation interact and worsen the divisions in political and social contexts". "Disillusionment is more likely to happen when people's convictions have been shattered. As a result, disillusioned people tend to fundamentally question their understanding of the rest of society and the world they live in. Embracing political convictions may give disillusioned people some solace and by endorsing more extreme political views, and political activism, people hope to restore a sense of orientation, purpose and significance in their lives," he continued.